For many years we received messages like "If you're looking for a job you need to network," "If your company is not on-line, it has no visibility," or "If you are in Social Media be careful with your digital footprint." In today's world, we have learned that with good branding and excellent networking, social media and social selling come along with ease. - How to build an effective social network in order to always have contacts to help you with your personal and career endeavors. - How to expand your social network while learning how to smoothly navigate the world of the Social Selling. Patricia Monica Ojeda is a dynamic and innovative business leader with an extensive background in information technology, marketing and operations. She is a seasoned professional and serial entrepreneur with 20+ years' experience, spearheading innovative solutions to some of the most complex and challenging issues facing the commercial and public sectors. She is a leader in local and Latin America business communities and has worked with IBM, Microsoft, Arthur Andersen, PWC, CanAudit, WolfGroup and World Bank, to name a few. Patricia holds degrees in Information Technology, Operation Management; a post-degree in Strategic Planning; and international certifications in IT Auditor, Project Management, Executive and Business Coaching, Marketing and IT Asset Management. 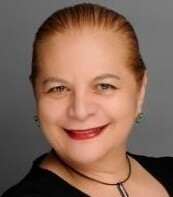 Additionally, she is an NLP Practitioner, Ontological Coach and Energy Leadership Coach. Patricia is a high-energy business speaker on subjects like "creating and leading peak performance teams," "how to use technology to trade and grow," "digital brand building," "brand yourself as a pro," "network or die" and "information technology and business." As a true believer in the power of social networking, she is a very active supporter of many community events and organizations around the world. - PMO Business - a company dedicated to the provisioning of services related to project management for multi-industries. - Coaching by the Beach - coaching and consulting sessions where she helps professionals and companies to discover passions, define goals and strategize ideas.